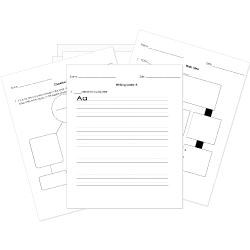 You can create printable tests and worksheets from these Grade 4 Antonyms questions! Select one or more questions using the checkboxes above each question. Then click the add selected questions to a test button before moving to another page. The opposite of question is . Which word is an antonym for sudden? We had to TRIM the items on our list so we could afford everything. The wicked witch deserved the punishment she got for her bad behavior. The UMPIRE yelled, "SAFE! ", as I slid into home. I felt a TUG on my shirt and noticed my dog was following me. Which is an antonym for the word WILD? Which is an antonym for the word DELICIOUS? I had to YELL so my mom could hear me over the noise from the crowd. If whisper is the opposite of yell, what does yell mean? We stayed in an old WIGWAM at the Native American camp. The boat started to WOBBLE when I stepped in it. Please fold your clothes when you put them away so they do not WRINKLE. The man wore a TOUPEE to cover his bald spot. After the snow storm we were able to build a snowman. Which is an antonym for build? Predator is an antonym for prey. Which two words have OPPOSITE meanings?